Cut the baguette into slices about 1.5cm thick and toast them in the oven at 180°C until golden. 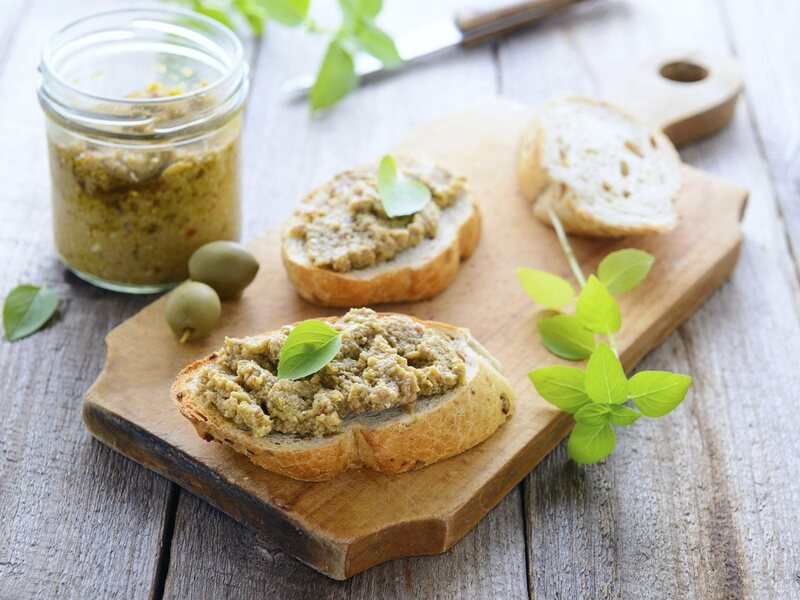 Meanwhile place the pitted olives, anchovies and garlic in the food mixer, adding a drizzle of oil to soften and blend the mix together until creamy in consistency. Season with salt and pepper according to taste. 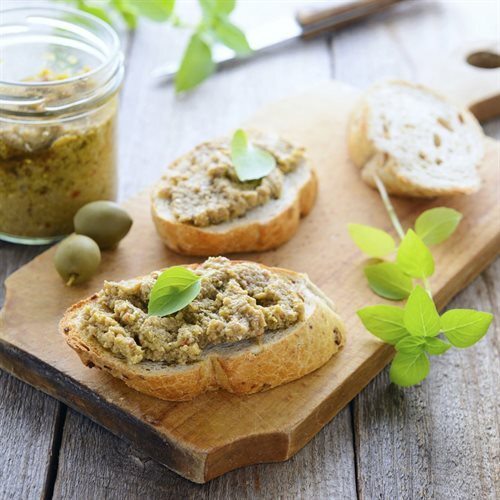 Remove the crostini from the oven and spread on the olive patè. Serve when still warm.